MBW’s World’s Greatest Managers series profiles the best artist managers in the global business. This time, we feature Jonathan Dickins – the founder of September Management, which looks after the likes of Adele, London Grammar, Paul Epworth and Jamie T. The World’s Greatest Managers is supported by Centtrip Music, the currency exchange specialist which helps artists, managers and music businesses obtain an optimum currency exchange deal. The first time MBW sits down with Jonathan Dickins this year, it’s a balmy February evening in Los Angeles. Less than 24 hours earlier, Adele – the brightest star on this planet – was proudly telling The Grammys, and therefore the world, how lucky she is to have him. You might reasonably assume that we find Dickins gloating, or at least soaking up the platitudes from the numerous glad-handers making a beeline for him in the Chateau Marmont. But you’d be wrong. He’s a bit busy for all that. The September Management founder is delighted for Adele, who’s just become the first artist in history to win The Grammys ‘big three’ (Record/Song/Album of the Year) twice over. Yet throughout the course of our hour-long chat, he’s flitting between two phones – tackling a pile of email and numerous calls – never not replying, instructing or directing traffic. 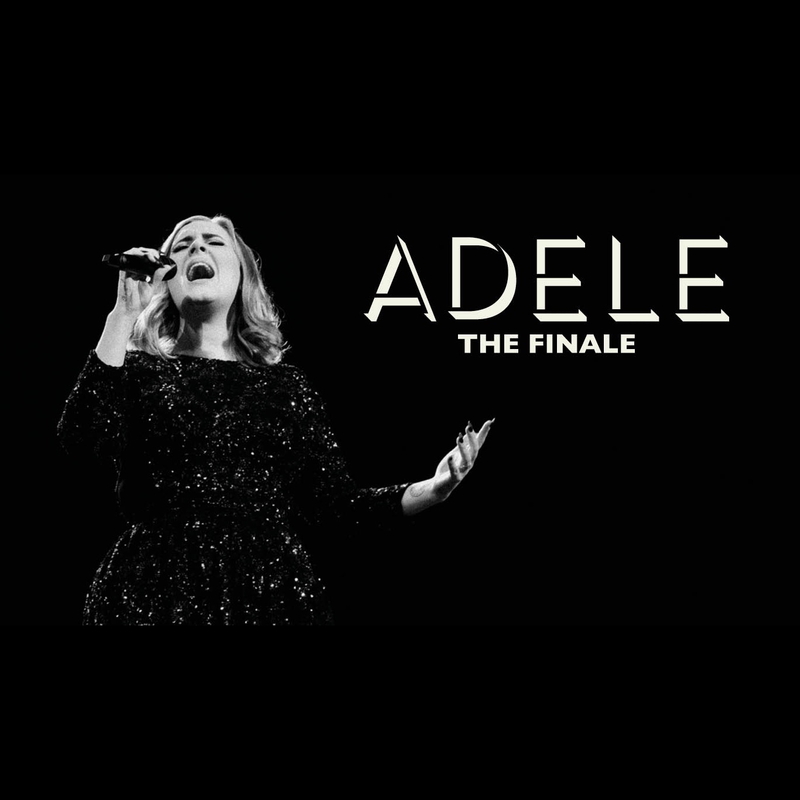 Dickins is calibrating Adele’s first ever run of stadium performances, which began in Australia in late February and culminate this week in record-breaking shows at Wembley. There’s a beer in hand, but post-Grammys party mode is officially on ice. Evidently, now is no time to drop the ball. “There’s probably a balance I haven’t yet achieved between enjoying the moment and not resting on one’s laurels,” he admits. 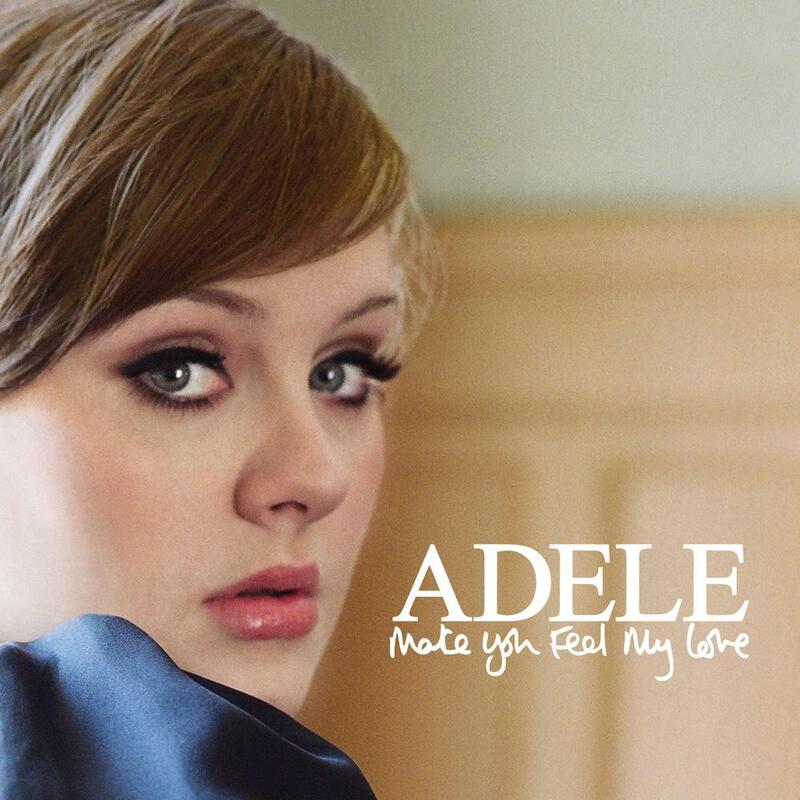 He adds: “It was an emotional thing to hear Adele say those things about me last night. I don’t ever take our relationship for granted, and I think she knows that. Four months later, we meet again, this time in September Management’s London offices in Notting Hill. Dickins is understandably a little less restless about Adele’s ascent to the world’s biggest venues: she’s now completed 11 stadium shows, playing to over 700,000 people while winning rave reviews and breaking attendance records in the process. Yet there’s a feeling in the air that this is something of a watershed month in the decade-plus development of September Management. 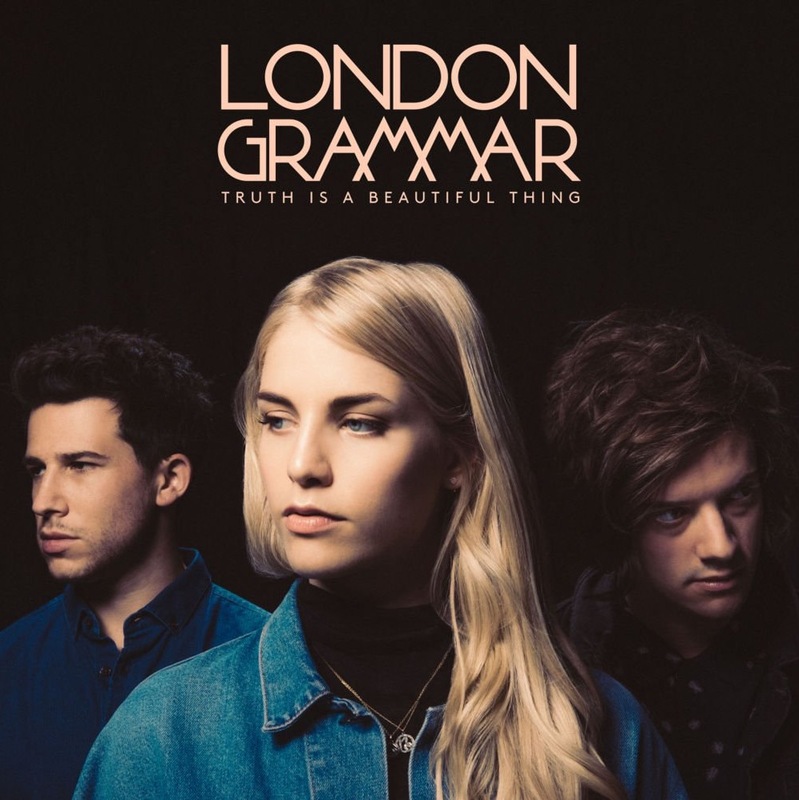 Not only is Adele about to play to 98,000 people a night at Wembley – the biggest capacity music audience the venue has ever seen – but another key September act, London Grammar, have just scored the first UK No.1 album of their career with their second LP, Truth Is A Beautiful Thing. It’s an opportune moment to rewind September’s story back to the start – and get the inside story of how Jonathan Dickins first met Adele. It’s early 2006 – at a location rather less glamorous than a glimmering Staples Centre. Tipped about 17-year-old Adele’s talent by XL A&R Nick Huggett, Dickins arranges to meet the singer/songwriter outside a petrol station on Goldhawk Road, West London. “I had no employees and I was running [September] out of a loft in my house,” he recalls. 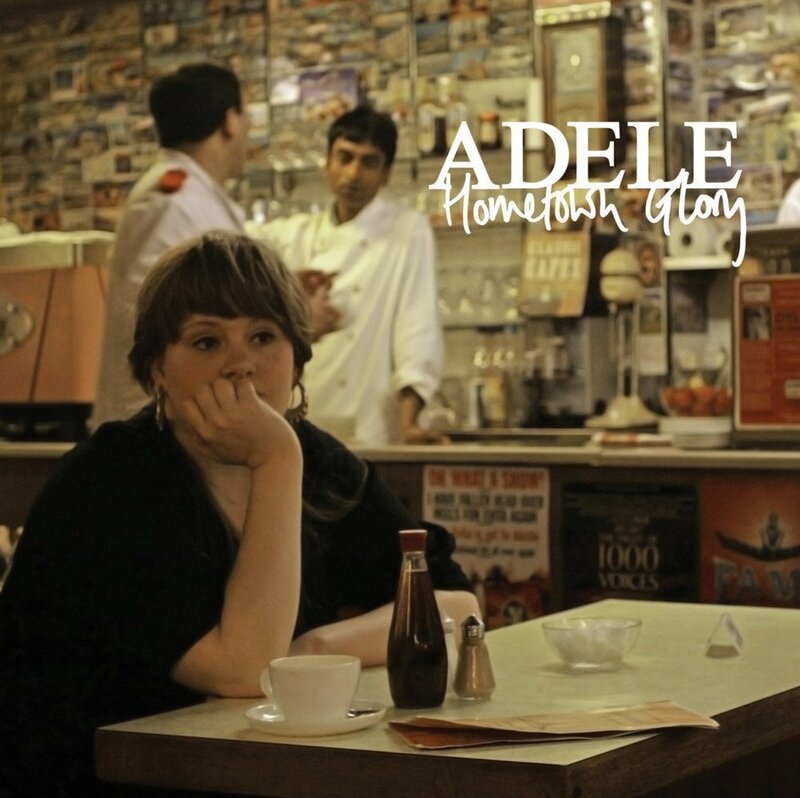 “I’d checked out Adele’s MySpace, and she had Hometown Glory on it, which blew me away. Adele informs Dickins that, the following week, she’s playing a live open mic set at the long-since dissolved Pop nightclub off Soho Square. He’s there with bells on. “She did two songs and they absolutely floored me,” says Dickins. “It was so brilliant and yet so utterly unassuming. 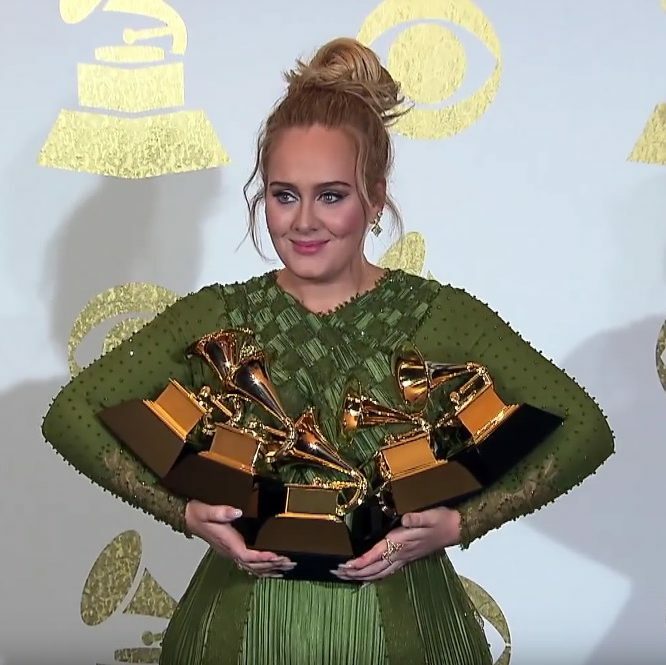 Fast forward eleven years, and Adele has just collected five Grammys for her work on 25 – the fastest-selling LP in US history, and the biggest-selling album in both the US and UK for the past two years. Such stats make it tempting to re-write 25’s journey to global triumph (and 23m+ sales) as a forgone conclusion. Yet doing so betrays two key facts. First: off the back of the 35m-selling 21, this was arguably the world’s most pressurized record release since Michael Jackson’s Bad. Second: there’s a more typical fable for follow-up records in the same orbit of mass popularity. Just ask Alanis Morissette or Norah Jones. It involves taking a profound commercial tumble. “Of course you feel the pressure,” says Dickins of 25’s four-year gestation, and the shadow cast by its phenomenal predecessor. Along the way, fruitful collaborations for 25 were green-lit with Danger Mouse, Tobias Jesso Jr and Bruno Mars, as well as Greg Kurstin – the Grammy-winning co-writer and producer of comeback single Hello. Moreover, a 107-date world arena tour, which wrapped in November, was a Herculean undertaking. “The biggest pressure [of the 25 campaign] was definitely the tour,” admits Dickins, noting that Adele’s live run for 21 involved a comparatively straightforward 50-something gigs in smaller venues. This is all a long way from Dickins’ first entry point into the music business – working as a junior A&R at Warner in the 1990s under his uncle, and the major’s former UK boss, Rob Dickins. The younger Dickins admits now that working in his relative’s shadow sometimes “made it hard to find my own identity”, although he’s “grateful for what I learned from Rob and some of the music he introduced me to”. Perhaps inevitably, he says the situation “led to me putting a weight of expectation on myself”. That expectation would have been exacerbated by the rest of Dickins dynasty: Jonathan’s dad Barry is a legendary live agent and the co-founder of ITB, while his grandfather Percy co-founded the NME and created the UK’s first ever singles chart. After Warner, Jonathan launched his own label, Showbiz, where his signings included a young Maya Arulpragasam – aka MIA. As industry heat began to rise around the artist, Chris Morrison suggested Dickins come in-house at CMO and start managing her instead. Dickins’ label experiences helped sharpen an innate A&R instinct which has served him exceptionally well in the past few years. While he shirks credit for creative decisions concerning Adele, sources tell MBW that Dickins was instrumental in selecting songwriter Eg White and writer/producer (and now September client) Paul Epworth to work on 19 and 21 respectively. Dickins also played a key role in selecting collaborators on 25 including Tobias Jesso Jr (When We Were Young) and Greg Kurstin (Hello) – and famously introduced Adele to the Bob Dylan track, Make You Feel My Love, at the very end of 19’s sessions. “Artists and their teams need to be self-sufficient because record companies can have revolving doors,” says Dickins. “I think it’s important to offer a creative opinion, even if the artists disagree with most of it – and, trust me, the good ones usually do – and remember that being overly reliant on people at labels is dangerous. 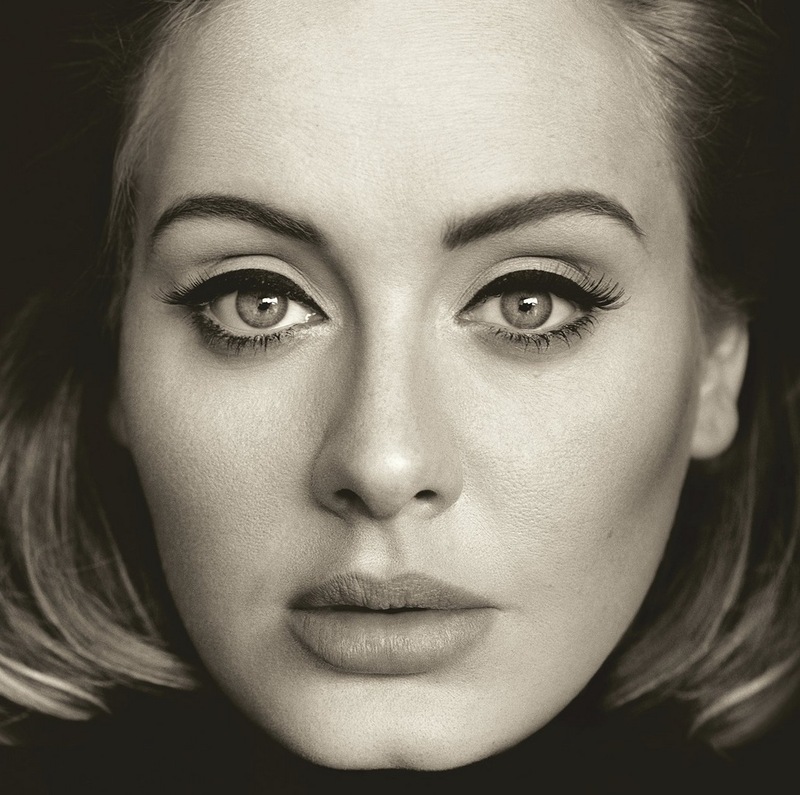 Talking of record companies, Dickins is full of praise for the exec who has spearheaded Columbia throughout its hefty contribution to Adele’s Stateside career. 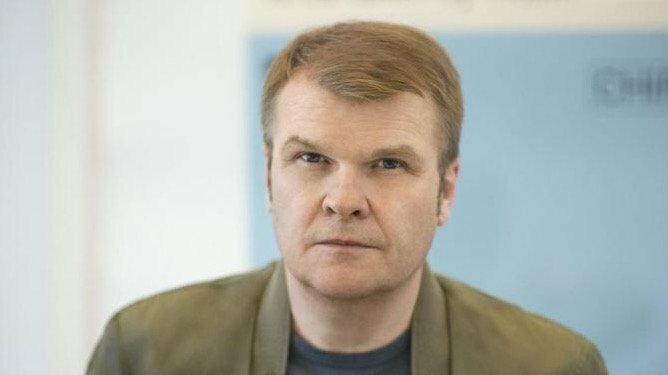 Rob Stringer was named CEO of Sony Music Entertainment in April after nine years in charge of the New York-based label. “Rob’s a good man and I genuinely think he cares about artists,” says Dickins. “He’s trustworthy, and that’s rare. And you can have an honest conversation with him. The admiration cuts both ways. Stringer and Dickins have worked side-by-side on Adele’s Stateside career since the Tottenham-born star first signed with Columbia in 2008. 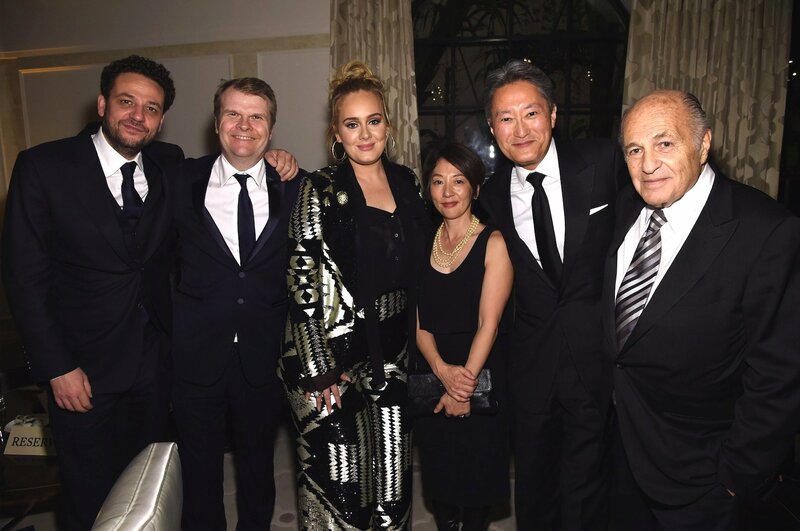 “People forget now, but we built an audience for Adele very slowly in the US,” notes Dickins, who also points to now-Capitol boss Steve Barnett as a rare early Stateside believer in the artist’s potential. “We had sold nearly a million records and worked our arses off, promoting [debut LP 19] and building the touring base for over a year before Chasing Pavements was even taken to pop radio. Dickins also has an extra special relationship with Adele’s other label, XL Recordings – to the point that founder Richard Russell is a September client for his work as a producer (Damon Albarn, Bobby Womack, Gil Scott Heron) and for his recently-launched artist project, Everything Is Recorded. “Richard has singularly had the most influence on everything I’ve tried to do with September as a company,” says Dickins. “To me, XL is the most important independent label since Chris Blackwell’s Island – and that’s with the greatest of respect to Daniel [Miler], Alan McGee and others. He also praises XL MD, Ben Beardsworth, as “a brilliant executive, a very good friend and someone whose opinion I trust implicitly”. 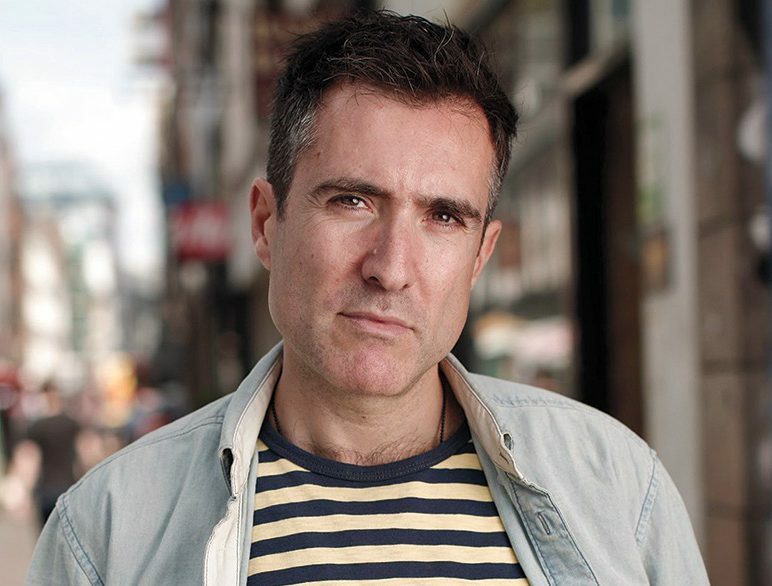 Richard Russell has worked with Dickins for over a decade, ever since XL signed Adele in September 2006. He comments: “Jonathan has integrity; he has courage in his convictions and isn’t afraid to make unpopular choices if he believes they are right. Dickins says that once he’s been able to “catch my breath” following the completion of Adele’s Wembley dates, the focus is on building September in the US – where the company recently opened a New York office – as well as gradually expanding the London HQ. He acknowledges that a landmark Stateside signing may be a natural next step, both because he splits his time between London and NY these days and because September “strives to sign exceptional artists, which are rare, so it makes no sense to restrict that to just the UK”. 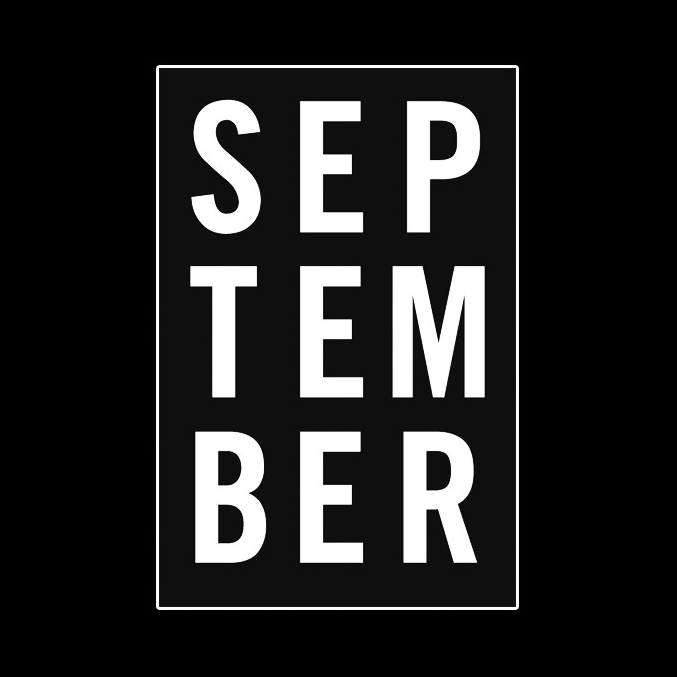 There’s also the small matter of September’s non-Adele roster, including Jamie T, Paul Epworth, writer/producer Levi Lennox (Zayn – Pillowtalk), Rick Rubin and King Krule – plus hotly-tipped act Rex Orange County and in-demand engineer Tom Elmhirst. Then, of course, there’s Ministry-signed London Grammar and the chart-topping follow-up to their debut LP, If You Wait, which sold 1.4m copies worldwide. With the right headwind, could the band’s Truth Is A Beautiful Thing become yet another blockbuster album experience for September in 2017? “People can get so caught up in ‘blockbuster’ in this industry – I prefer to focus on relevancy,” he replies. You can tell from the glowing esteem with which Dickins describes XL that independence means a great deal to him. In his world, however, management ‘roll-ups’ have begun defining the music business. Is that outcome – a sale of at least part of September to a giant player – a temptation? “It might be crazy, but I want to stay independent,” he says. “I’m driven to shape a company without restrictions or a corporate mentality. 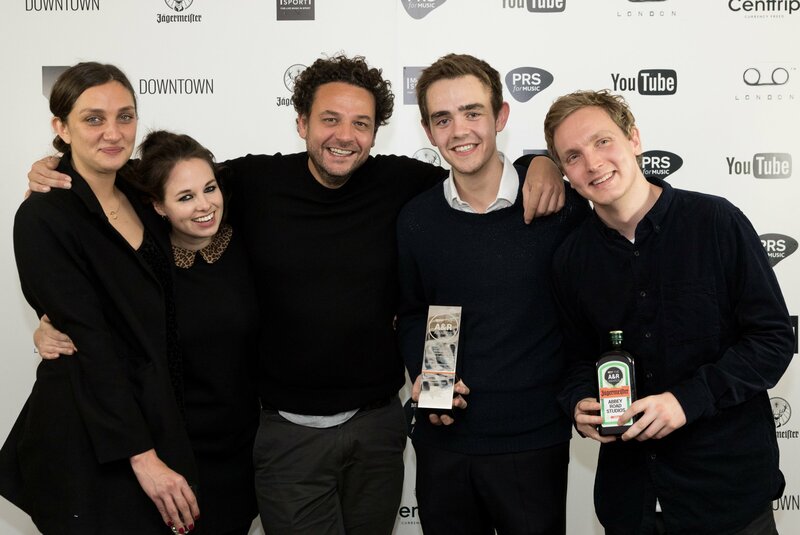 Dickins acknowledges that such headspace is only afforded to him by the ability of the tight-knit September team (pictured) – who collectively won the A&R Award for Management Company in London late last year. “As a business, you’re very reliant on the people you work with,” says Dickins. Dickins is also full of praise for talented September managers such as Katy Dickson (Tom Elmhirst), Charlie Christie (Rex Orange County, Levi Lennox), Theo Lalic (King Krule), and Hamish Harris (SOHN). With Adele’s history-making achievements now etched in granite, September has proven its proficiency for guarding the interests of artists operating at the very highest level. And it’s done so entirely without corporate bloat. Once you’ve achieved the unthinkable, notes Dickins, no artist’s ambition seems beyond your reach. “At the end of the day, I want to expand September sensibly and continue to only work with people whose music we actually like,” he says. “Some very successful people want to build an artist management factory, and that’s fine – it’s just not for me.